I just bought this wig but it wasn't the right tone for my character so I decided to sell it off. 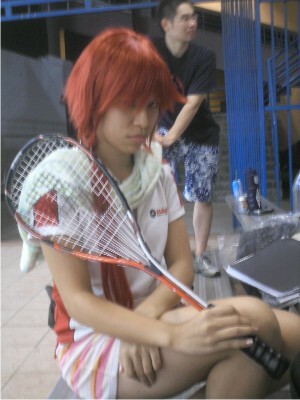 Bought the wig along to my squash session. Julian was fooling around with the wig. 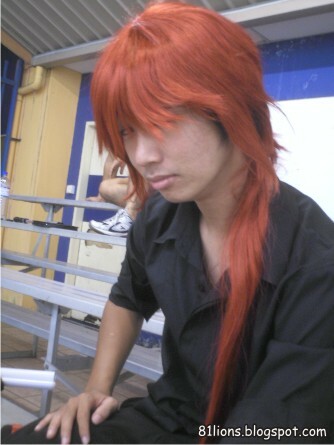 They said i look like a guy and also a character from Prince of Tennis.